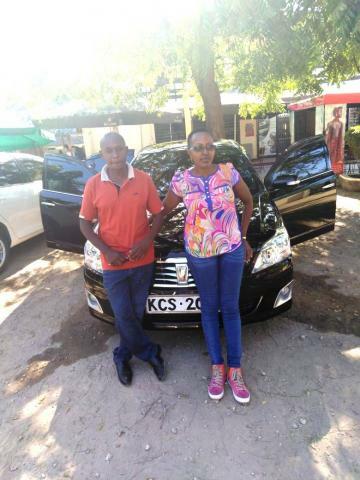 Mr. Samuwel is another happy client who ordered the vehicle through the IT Plus Japan Corporation. He is a Business man in Kenya capital in Nairobi since few more years back. Want to change his vehicle and visits few sites and he finds the vehicle in IT Plus Stock which was he searching. Our Sales Coordinate Mr. Awishka gave outstanding customer service for him and he was delighted. Finally he paid all payments and we shipped the vehicle with out no any delay. That Vehicle was in Last Lap for Kenya but we took risk and Mr. Samuwel also agreed. So after the vehicle arrived to his port he sent us below pics. And Mr. Samuwel Promised us to introduce more among his friends in Kenya.